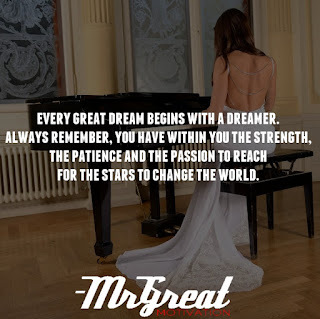 Great collection of motivational quotes, inspirational poems, moral stories, videos and speech from leaders to hit you emotionally and ignite that fire within you. 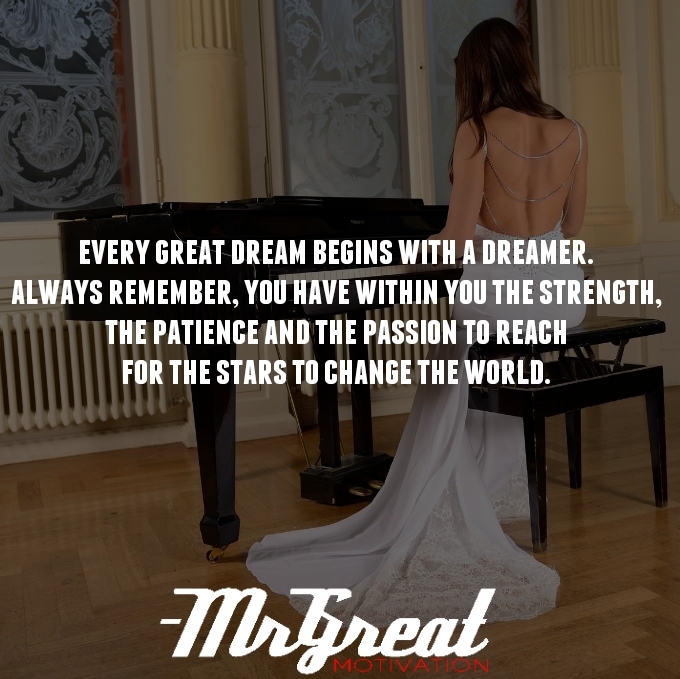 Every great dream begins with a dreamer. Always remember you have within you the strength, the patience and the passion to reach for the stars, to change the world. We all grow great by dreams. Dreamers see things in the soft haze of a spring day or in the red fire of a long winter's evening. Some of us let these great dreams die, but true dreamers nourish and protect them; sustain them through bad days till they bring them to the sunbeams and light which comes always to those who sincerely hope that their dreams will come true. Unhappily, we all begin to see the world for what it is as we go from dependent child to independent adult. The dreams we once had get overwhelmed by life’s certainties and unplanned episodes. Life is a race—broadened in its participants and never lacking in its challenges. Running for the gold is not always easy when the race of everyday life can cause even the most motivated competitors to give up on their dreams. Everyone plays, some give up before ever starting, and others will spend a lifetime trying to succeed. But the opportunity endures for all of us to deserve victory. No one can prognosticate future, regardless of the imaginary picture we create in our brains. So why not think emphatically and stretch again to chase the dreams we all left so many years ago? Do it now. Stay Motivated.